Kawhi Leonard 2019: Is the Media at Fault for How Spurs Crowd Reacted to ‘The Claws’ Return? 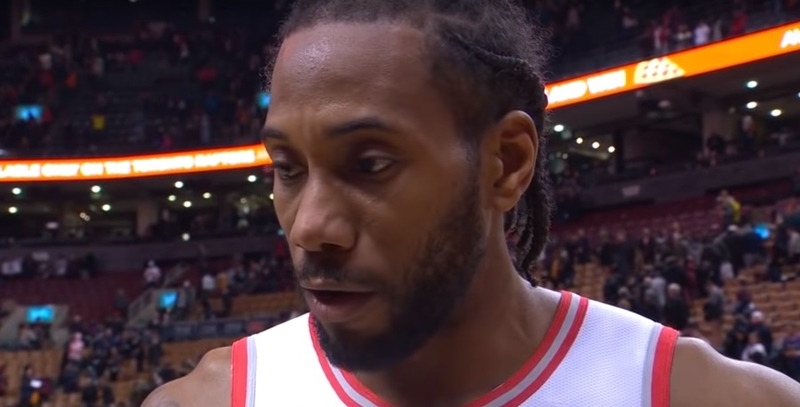 Kawhi Leonard recently returned to San Antonio as the Toronto Raptors faced off the Spurs that resulted in a one-sided matchup. The game finished with a score of 125-107 in favor of the Spurs. If the loss wasn’t enough, the crowd over at San Antonio wasn’t shy to shout their negative sentiments at Kawhi Leonard, calling the two-time Defensive Player of the Year a “traitor” at some point. They also relentless booed him throughout the game while they warmly greeted Danny Green. It can be recalled that the 27-year-old caused quite the stir in the NBA last year when he forced the hand of the Spurs to trade him out of their roster. While nothing has been confirmed, it’s widely speculated that the reason Kawhi Leonard wanted out of the Spurs organization because they coerced him to play even though he hasn’t fully recovered. Ultimately, the Spurs sent him off to Toronto and the Raptors sent DeMar DeRozan to San Antonio in a trade that a few people saw coming. DeRozan was the star of the recently concluded matchup as he recorded his first career triple-double of 21 points, 14 rebounds, and 11 assists. Right now, the Spurs are on seventh place on the Western Conference standings, while the Raptors are second in the East. Kawhi Leonard has fit-in remarkably well with his new team, quickly becoming the face of the franchise in mere months of playing for the organization. ESPN Tim Bontemps said that there are two popular opinions by NBA executives pertaining to the 27-year-old’s future. Either Kawhi Leonard’s going to commit to the Raptors or he’ll take his talents to the Los Angeles Clippers, a team based where he grew up. The pundit added that the Raptors couldn’t provide two things for Kawhi Leonard: warm weather and the positive atmosphere playing for his home team, both of which will undoubtedly influence Leonard’s decision. As for his opinion about the recent reception he got from the San Antonio crowd, Kawhi Leonard said that he expected such reaction to occur. He also added that the media played a huge part surrounding this narrative and partly blamed them for the response he received. "[The] media does a great job to stir people's minds and influence them to think a certain way. So I already knew how that was going to be, the way the media was,” Leonard said.